I did really enjoy it. It did take me a bit to get into it, but once I had the storyline/characters down I started to enjoy it. I particularly enjoyed the twist near the end, which I did not see at all. 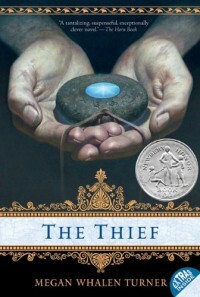 The book follows Gen, who after stealing an important item from the king's scholar, the magus, has been in jail. He is suddenly released into the care of the magus who believes that he has found the location of an important religious artifact which will force the Queen of an adjacent nation to marry the King. But he needs someone to steal it. I have heard that the next books are even better and I look forward to reading them.